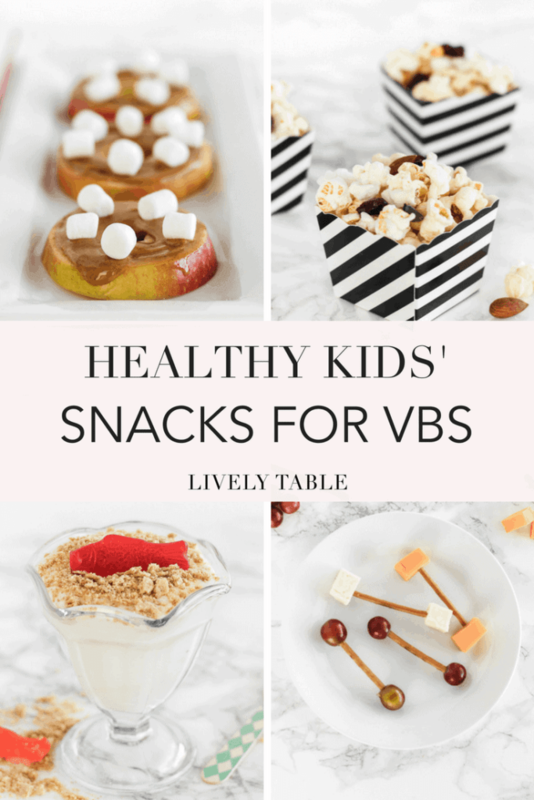 These healthy VBS snacks for kids are easy, affordable, nutritious, and tied to scripture for happy kiddos during vacation bible school. Mr. Table and I recently joined a church in our town after having lived here for 2 years. It was one that we attended when we lived here in college, and started attending again after moving back. We love the community and the pastor, so we made the plunge and became members. Since I’m a dietitian, I was asked to help plan the snack menu for VBS this year. 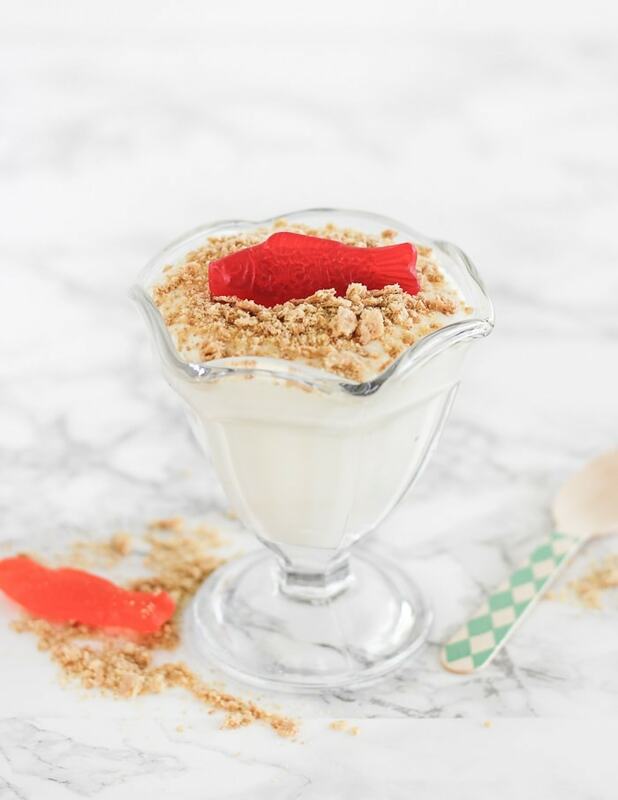 The director wanted something a little more nutritious than the typical goldfish crackers, so I went to work planning some kid-friendly, healthy snacks to go along with each day’s lesson. The theme for this year is Shipwrecked: Rescued by Jesus. I tried to include fun foods that most of the kids will be familiar with. I’m not trying to push kale smoothies on 5-year-olds. They also needed to be somewhat affordable and easy to assemble. Here’s what I came up with. 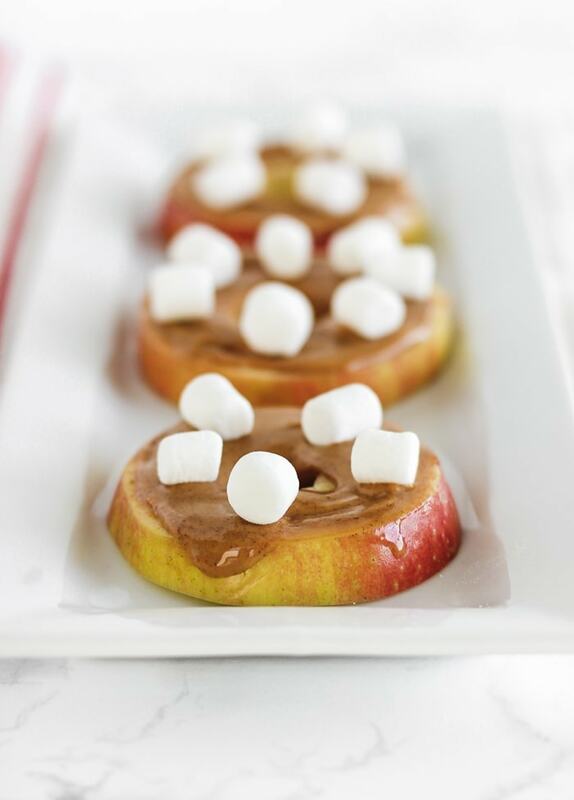 Red apple slices with peanut butter (or Sun Butter for peanut-free facilities) and marshmallows make little life preservers. The day’s verse is Psalm 34:19, “The Lord comes to the rescue each time.” With this snack, leaders can talk to kids about how Jesus is our life preserver. 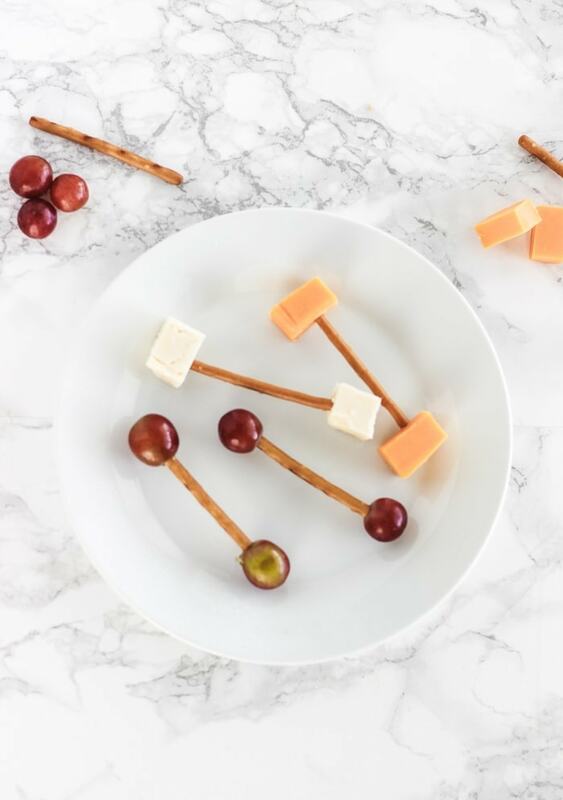 Pretzel sticks with grapes and cheese cubes on the ends to form barbells to remind kids that God can do the heavy lifting and help them through their struggles. The day’s verse is Psalm 46:10, “Be still and know that I am God.” The message is to slow down and talk to God about your struggles. Place your worries in His hands and let Him do the heavy lifting. 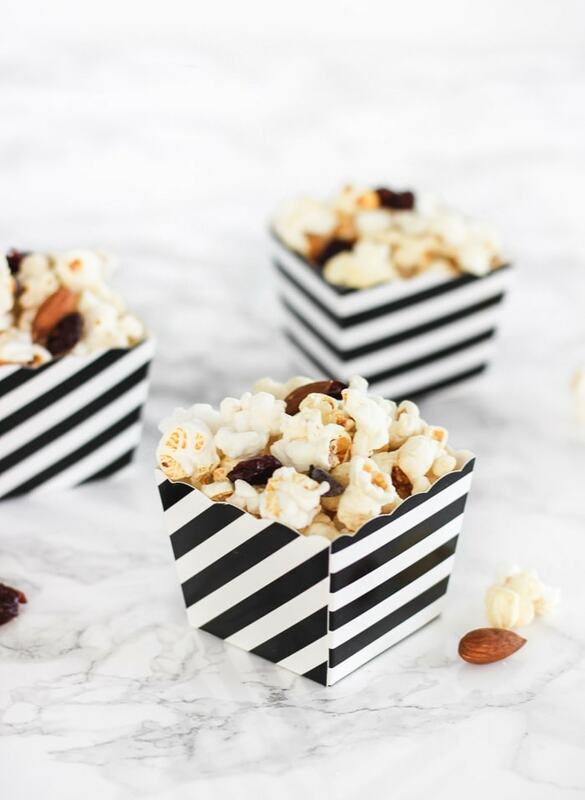 Lightly salted popcorn with nuts, dried fruit and chocolate chips – the kids should see how the heavy pieces sink to the bottom, just like sins weighing us down. But the popcorn is light and rises to the top, just like the hope that Jesus’ love gives us. The verse is John 16:33, “Here on Earth you will have many trials and sorrows. But take heart, because I have overcome the world.” The message is that Jesus has a plan to overcome the sin in our lives and give us hope that rises up. I love this!! Thank you for sharing your passion.